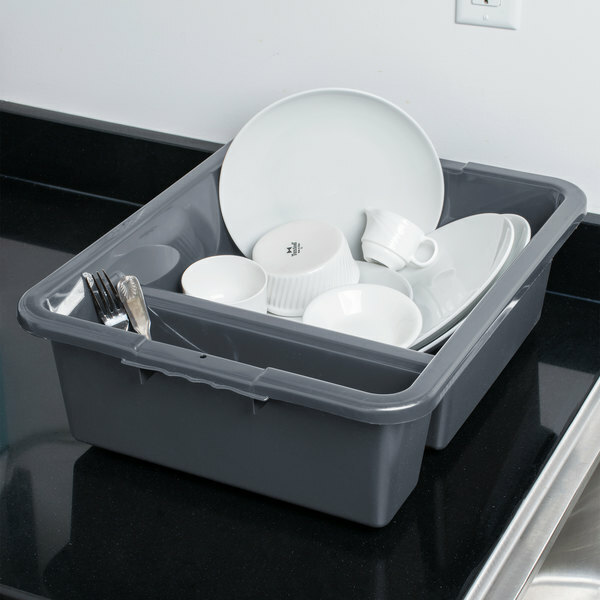 This Tablecraft 1547G heavy duty divided bus box is an efficient and durable solution for cleaning flatware and collecting dishes. 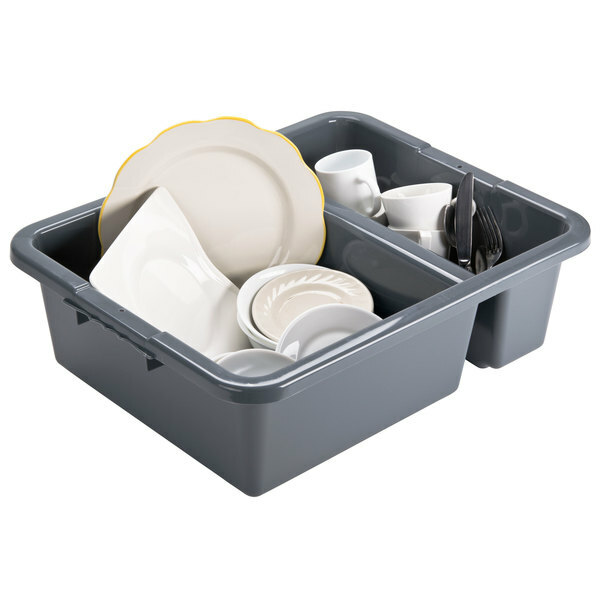 The two divided sections of the bus box aid in organizing dirty dinnerware and minimizing chipping of china or glassware. 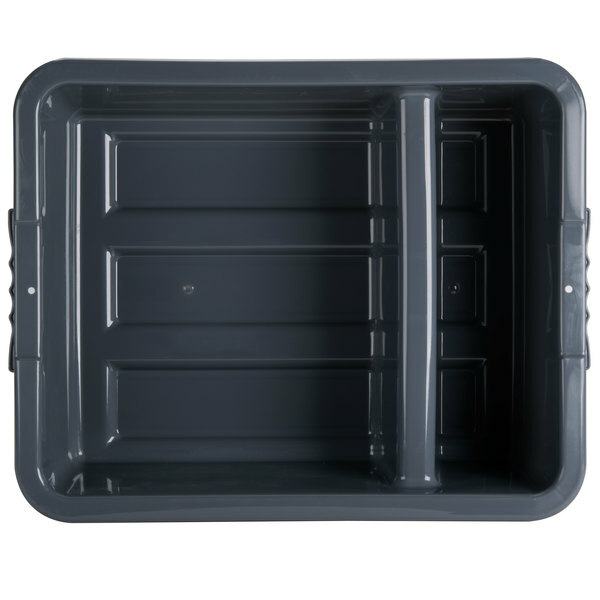 Made of high density polyethylene with the ability to hold up to 70 lb., this bus box is built to last. 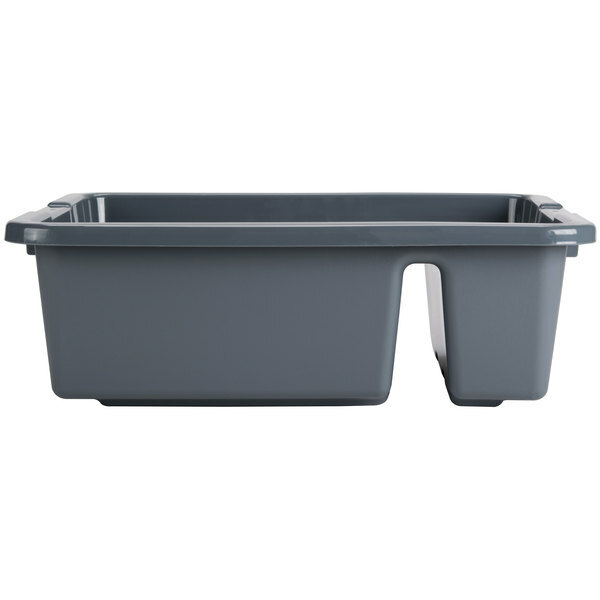 Its classic design in gray is easy to clean and sports reinforced handles for easy transporting. 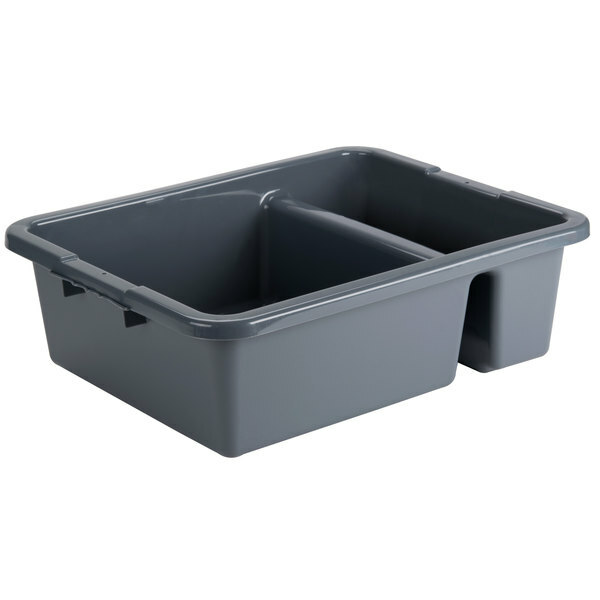 Featuring a pebbled exterior finish, it is stackable, great for storage, and has FDA approved material. 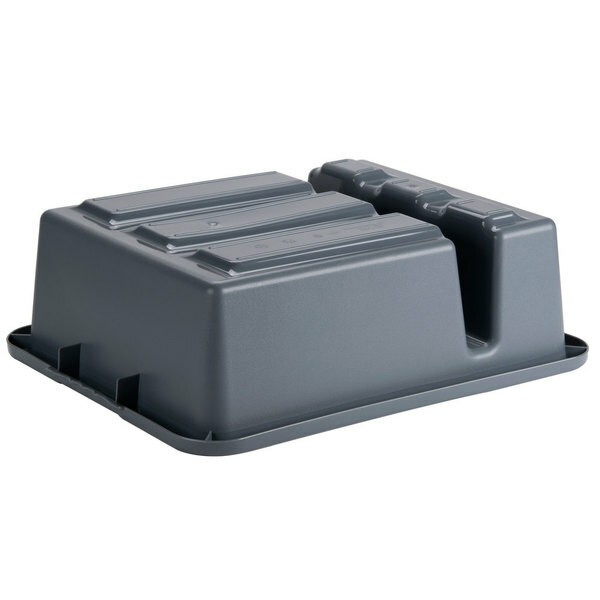 A great addition to your cafeteria or restaurant! Another five-star review. 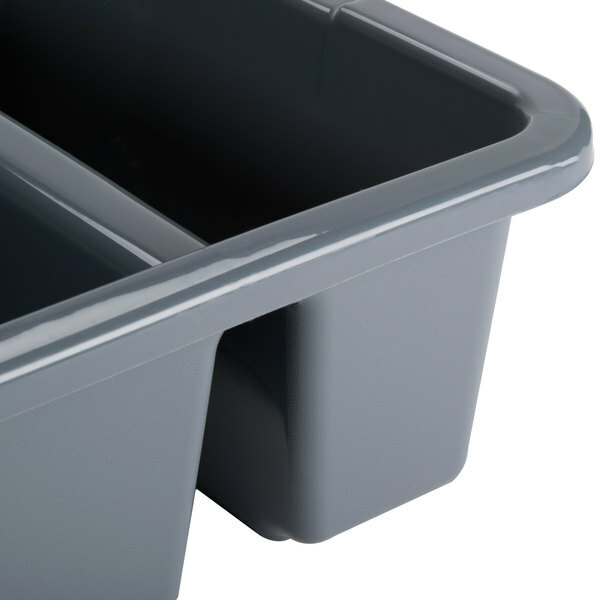 Invaluable in my small kitchen with no dishwasher to keep the dirty dishes separate from the clean ones. 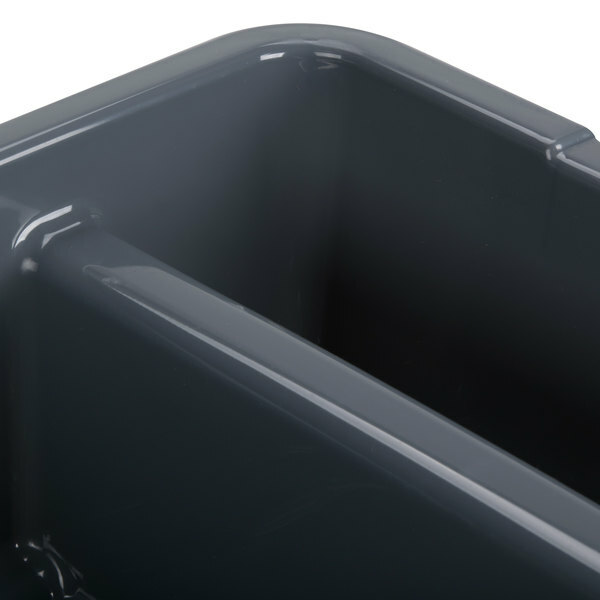 The divisions between narrow (utensil) and main compartments are just about right.